Product #89 | SKU MB100M-FF1 | 0.0 (no ratings yet) Thanks for your rating! When you need extra light blocking power, attach the Oversize Flag to the Matteblox DV. 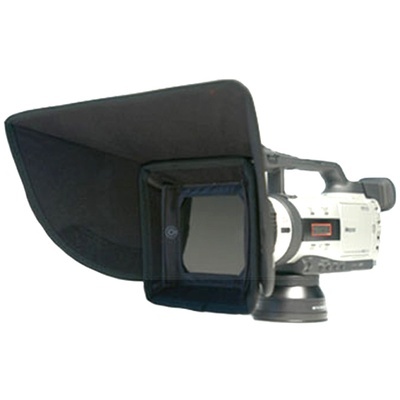 Can also be used directly on the DVX100's factory shade with the help of some self adhesive velcro hooks. Includes a carrying case so you can take it everywhere.